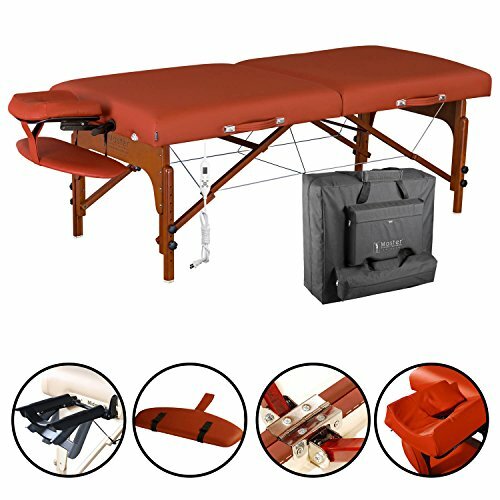 31" width x 84" length x 24" to 34" adjustable height, the table itself only weighs 37lbs ; Double luggage-style table closure clasps. Elm color stained European imported Beech wood legs; 1,500lbs. Aircraft-grade steel support cables gives the table a working capacity of 750lbs. Accessories includes: Innovated Ergonomic Dream Adjustable Face Cradle, Memory Foam Face Cushion, Fully Padded Armrest Shelf and a 2 Pockets Carrying Case!